When I look back on my childhood the late 1940s and into the 1950s it seems almost like it happened in another world. In a way it did because so many things have changed since then. If it were possible for someone to visit 2018 from that time, today would have seemed like another planet,. rather than another time. I grew up in a working class district of the city of Nottingham called the Meadows. The area was built on what formally had been pasture land and meadows in around the 1840s. But by the 1940s with street after street the area had precious little of its green open spaces left. The only green I can remember was the local Recreation Park. The park had a children’s play area with swings, a see-saw and a roundabout. It also had two public tennis courts, crown bowling green and a large field. The field was used for Cricket or Football depending on the season. The housing in the Meadows was predominantly brick built terraced housing. Most of the houses were two up two down.with the front door opening straight onto the street. and the back door opening onto a back yard that had a coal-house and an outside toilet. How did those women managed to bring up families with all that entails in conditions far less than ideal. Our homes had no inside toilets and no bathrooms. We had no fridges, washing machines or tumble dryers. We did not have hot water on tap. How they managed will be a mystery to those who only know of a life with all those things as necessities. But women, did bring up children in such harsh circumstances. I know first hand because my mum was one of those fantastic women. Not only did they manage in those conditions they did a superb job. They did such a good job that most of us grew up and have very strong and positive memories of our childhood. This is my brother standing just outside the front door,as you can see the front door opens straight onto the pavement. Notice only one car is parked on the street. Look also at how clean and litter free the street is. 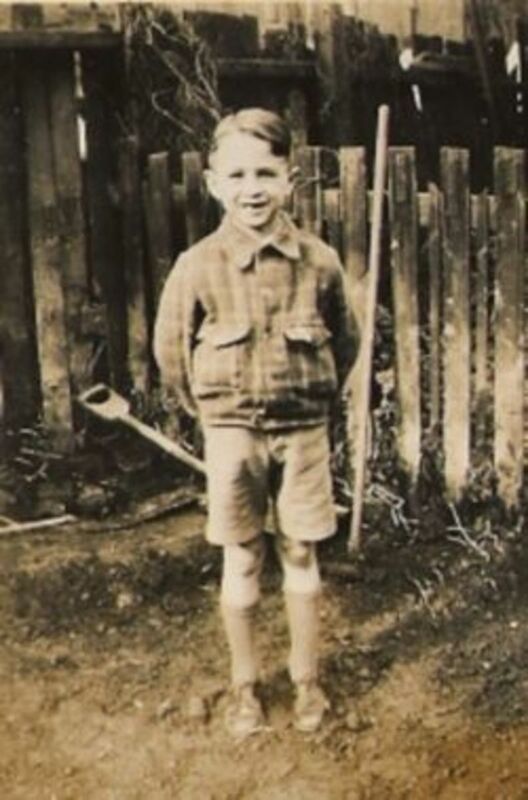 My brother much younger stood in front of our nextdoor neighbour's coal house and the outside toilet in our shared back yard. My brother in our back yard and behind him you can see the houses on the next street that backed onto ours. Just above his head you can see part of the washing line. As a child growing up in the Meadows each the day of the week seemed to have its own structure. You could tell what day it was by what you were eating and what activities happened on that day. I remember that the weekends were especially busy. Every Saturday morning I would run errands for an old lady. She would give me a shopping list with a purse and some money. I would go to the local Co-Op and get her weekly shopping for her. 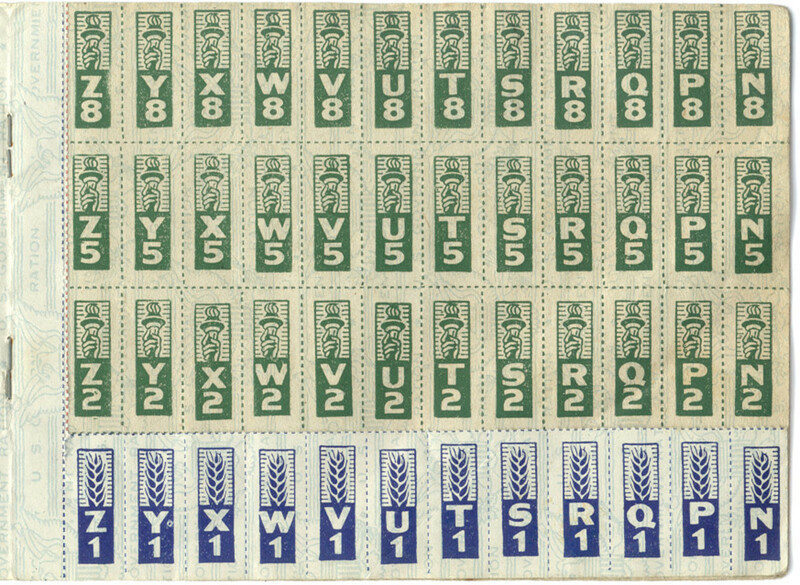 In those days the prices stayed the same from one week to the next. So you knew pretty much exactly what the shopping bill would come to if you ordered the same things. I would also run to the corner shop for any bits that she needed during the week. The old lady lived with her unmarried son in a house on the next terrace. Her back yard backed onto ours, and I used to climb over our back wall to get to her house. The old lady's son would give me 6d on a Saturday morning for doing his mum's errands. 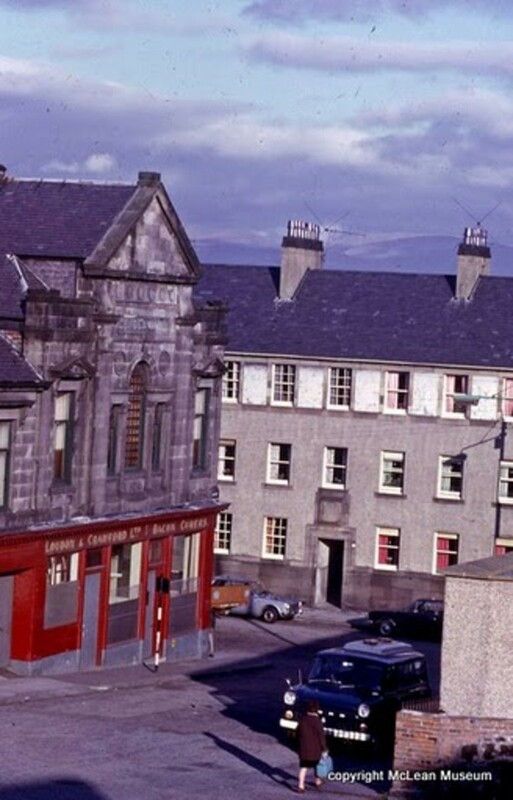 My mum use to work in a shop on the main road, I think it was called the Home and Colonial. Mum had one of those brains that could out add a calculator. When she went shopping she would be adding things up as she went. Woe betides the shop assistant that rung up mum’s shopping and got it wrong. Mum would know to the penny what the total was. The tills in the places that my mum worked in back then didn’t do the adding up for you. The shop assistant had to be able to do that. Some use to write down on a piece of paper the cost of each item as you ordered it. Then when you had finished they would add the items up. But my mum did not need to do that as she could do it in her head as she served you. My mum was like a calculator, her mental arithmetic skills were awesome. Mum's skill at adding up in her head came in useful in the women's darts team where she would do much of the scoring. 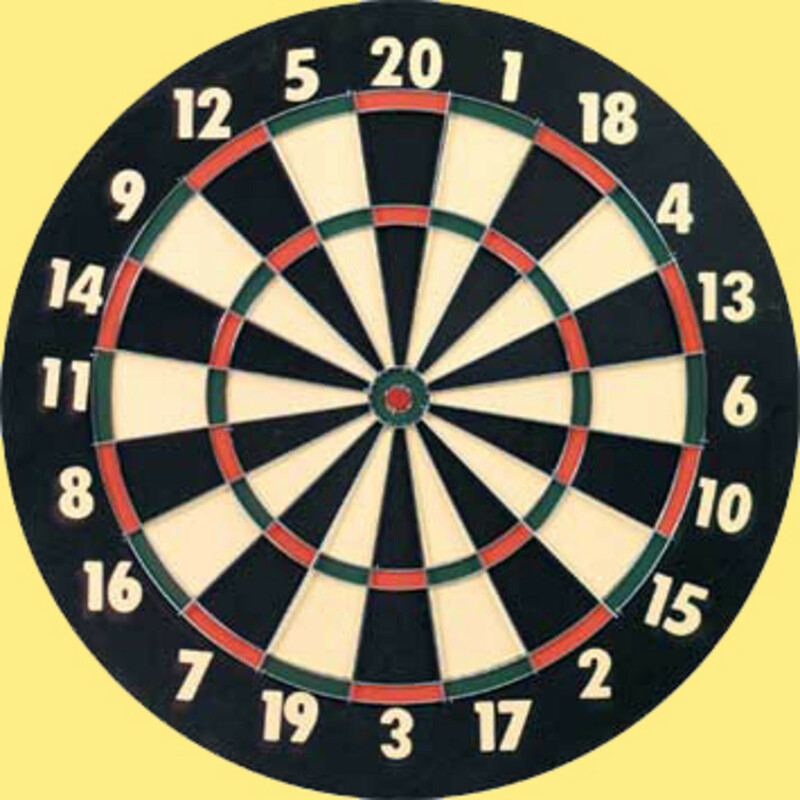 A dart board has numbers 1 to 20 with an area that doubles the number and another that triples the number. You had to be able to quickly work out the score from the three darts thrown. Scores such as treble 19 plus double 17 and treble 14 and add them all together to get the total. Mum could tell you the score as soon as the darts hit the dart board. She also was good at working out the odds for my dad when he wanted a flutter on the horses. Mum was usually at work on a Saturday so often it was my job to go to the butchers Saturday morning. The Butchers was across the road from from where my mum was working. I went to pick the joint of meat for our Sunday dinner. Our order was regular so all I had to say was what kind of meat we wanted that week. Most working class families back then had a roast dinner on a Sunday. We would always have a roast joint of meat on a Sunday but I never can remember having a roast outside of a Sunday. In the 1940’s coal was king. 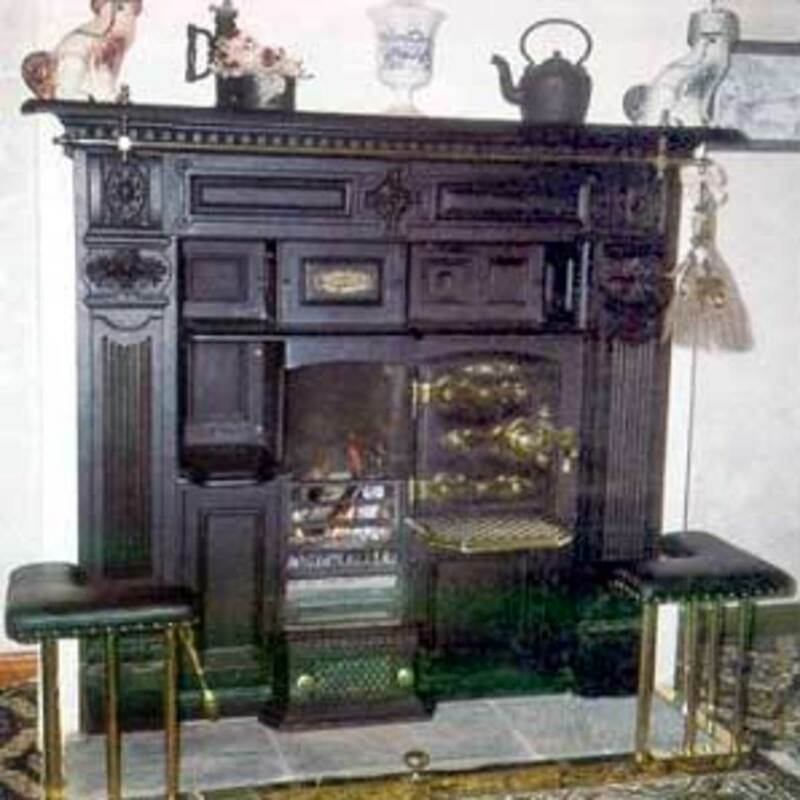 Most houses back then had coal fires. Even the larger homes in the more well off districts had coal fires. Some people used gas for heating. Gas at that time was made from coal. But gas was not usually the main source of heat in most homes. Gas cookers were by far the most popular form of cooking. But the old fashioned coal fired ranges were still plentiful. Electricity was beginning to be used as a form of heating but it was expensive. If you had an electric cooker you were thought to be very modern. But most of my mum’s generation thought that electric cookers didn’t cook your food as well as a gas cooker did. The by product of the production of coal gas was coke which was a smokeless fuel. Street lights by this time were usually powered by electricity. 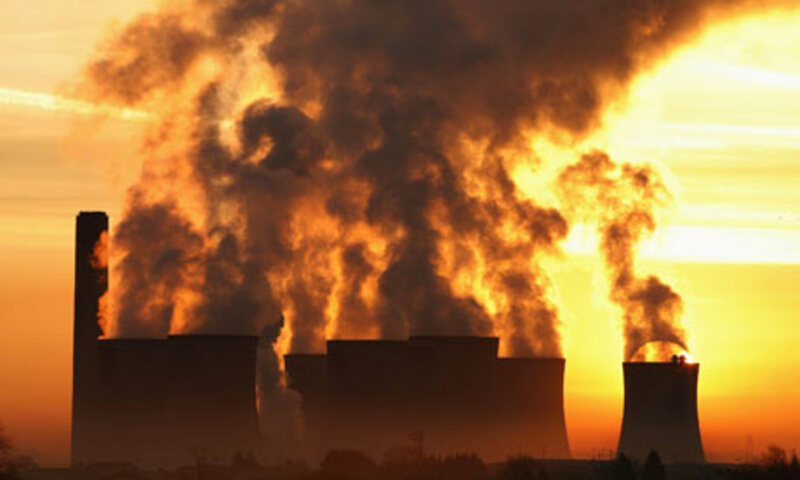 Electricity at that time was produced mainly by coal fuelled power stations. Some streets and homes still were gas lit. I know that one of my uncles in Birkenhead still had gas light in his home as late as the 1950’s. Strange as it may seem today we only saw Chicken and Turkey at Christmas. Poultry back then was not intensively produced in battery farms. They were free range which made them expensive to rear. Poultry of any kind was expensive. Most working class families only bought a bird on special occasions. which for our family was Christmas dinner when we had a turkey. 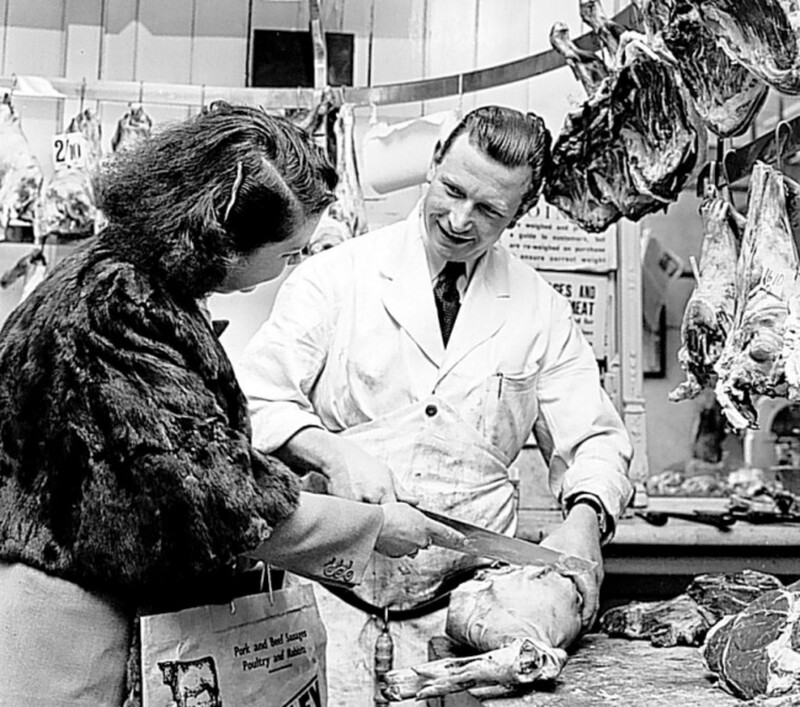 Saturday morning my mum would send me to the butcher. I would tell the butcher that my mum wants a piece of pork, beef or lamb about this big. My mum would show me with her hands how big she wanted the piece of meat. I would say to the butcher"My mum says I’m to tell you that Jean wants a bit of beef this big." Showing him with my hands the size of the joint that my mum wanted. More often than not we had beef. The fat and juices that remained after the meat had been roasted in the oven would be poured into a small basin. When it cooled it set. This dripping as we called it was delicious. We would spread it on bread with a little salt on it. Bread and dripping was something I loved to eat. The butcher would always give you some extra fat to put on the top of your roast. This was so you would have more dripping after the roast had been cooked. Bread and dripping was often given to the family for tea on Monday. In working class England tea was the early evening meal. For most people with young children teatime was around five o’clock in the afternoon. At teatime the meal usually consisted of sandwiches of some sort. Dinner time in working class areas was usually at mid day. Only the more well off would have their dinner in the evening. In many ways though we were poor we as children never knew that we were. Everyone we knew lived in homes like our own and had a life style that was basically the same as ours. Poverty is usually experienced as a relative thing. So if everyone around you is in the same state as you are you don't feel like you are doing without. Nor do you feel underprivileged. Speak to anyone who was brought up in our neighbourhood around the same time as I was. Almost everyone of them will tell you that their childhood was in the main a very happy one. As children we were unaware that we were poor or that we lived in what some would call a slum. We just thought we were ordinary and that is how it was for everyone. We didn't have things like the TV to tell us how well others were living. 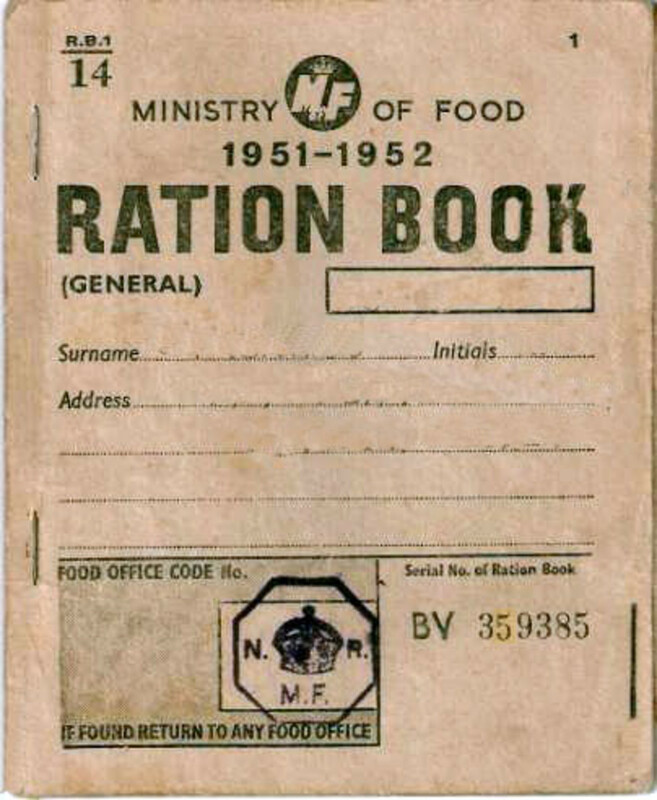 Another thing that caused people to not feel hard done by rationing. The fact that many items in the late 40’s and early 50’s were still on ration was a great equalizer. More about rationing and poverty and its effects on the working class will be in part two of this hub. I hope that you have enjoyed this small look back to a bygone era in the life of a working class family in the UK. That was a lovely trip down memory lane for me. I was 7 when WW2 ended and I lived with my Mum and Dad and three younger siblings in a "2 up, 2 down" terraced house in East Ham (now called Newham), in London's East End. 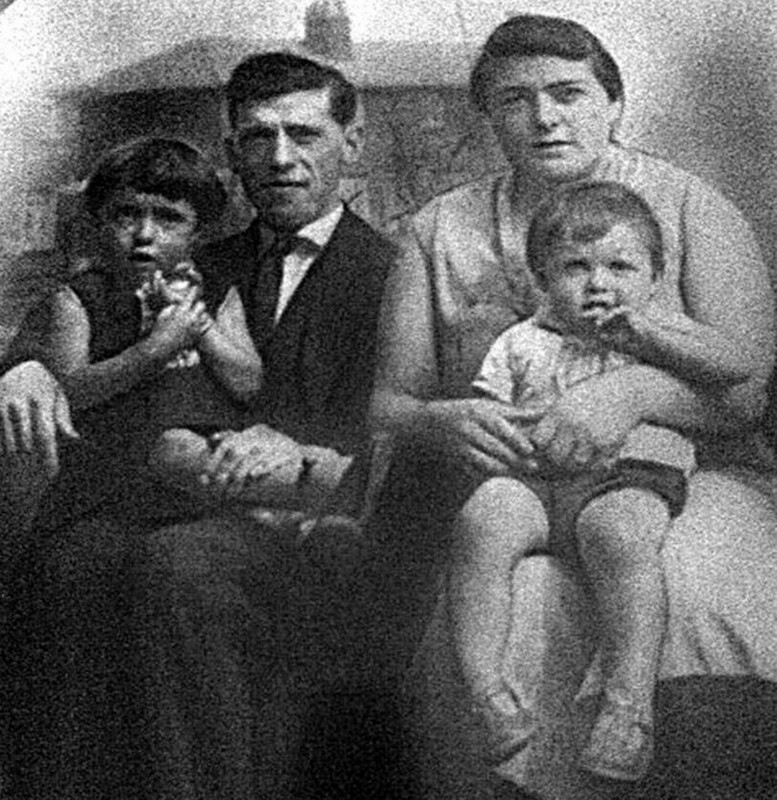 My Nan and Grandad, and most of my aunts and uncles, lived within 2 or 3 miles of us and all survived the Blitz. You are so right about how things were, particularly for kids who accepted poverty and deprivation, because we knew nothing else. "We woz poor, but we woz 'appy! ", I believe was a commonly used expression. Thank you for sharing these memories! My mother's paternal family lived on Meadow Lane for generations. 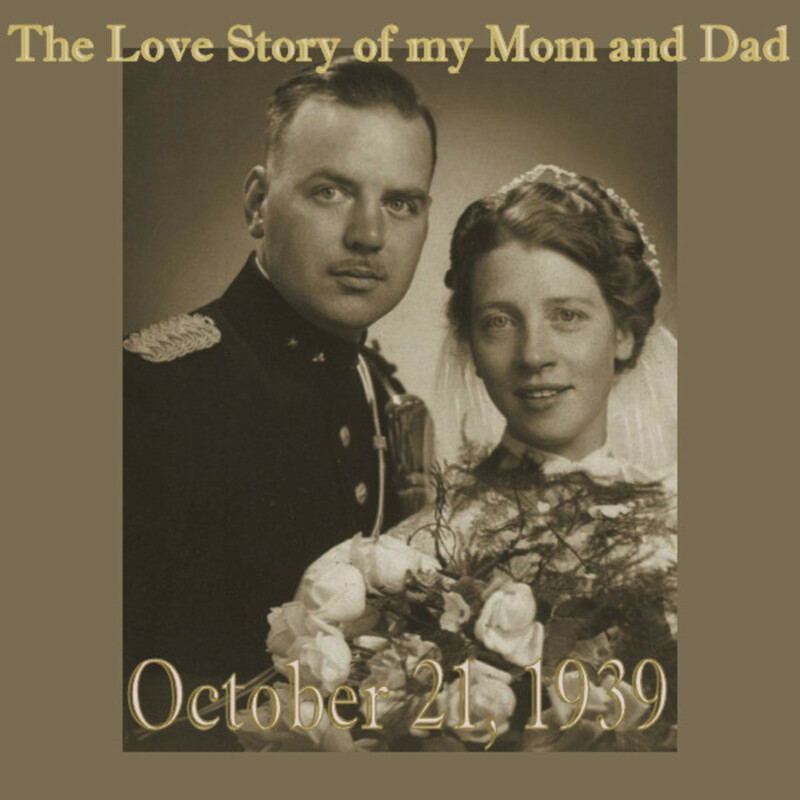 In fact, even my parents lived with the family when they were first married in the 1950's. I'm curious about your comment regarding the move to the Clifton estate. I hadn't realised that was "mandatory"....I well remember visiting my maternal grandfather at his house in Clifton. What year would the move have been made? and what happened to the housing in the Meadows? This is like a 'terraces corner'. At least the Meadows was relatively safe, as I believe. It was in the late 60s when I lived in Nottin'um. safer than St Anne's, anyway. I used to skirt St Anne's on my way back from town to the converted pub I lived in at Sneinton Hollows (looking down at the main road near where the (part time) police station stood. I went for walks on non-race days along the road to the racecourse for a wander around. Nearly got run in by the cops once, getting back late with a pair of binocculars hanging around my neck. "Been bird watching then?" Any clever stuff out of me would've fetched a night in cells, so I kept shtum. Always on the look-out for promotion, Nottingham cops were at the time. They also had the tallest constable in England (or even the whole of Britain), who seemed fairly amiable with his tall helmet making him look even taller. I used to visit the Flying Horse on the Market Square, as well as the downstairs bar where Nottingham Victoria station stood. My own stamping grounds near Middlesbrough were pretty much the same as the Meadows - were you a Notts County or Notts Forest fan? Cloughie (Old Big 'Ead) was one of Teesside's best exports. When I was small we lived seven in the house slap bang by Dorman Long steel works at Grangetown. Laundry was twice a week. I suppose with the Midland Railway station fairly close to you there'd be lots of smuts from the steam engines, same as with us from the blasting process in the works. This is where I'm supposed to say, "Eh, but them were t'days". 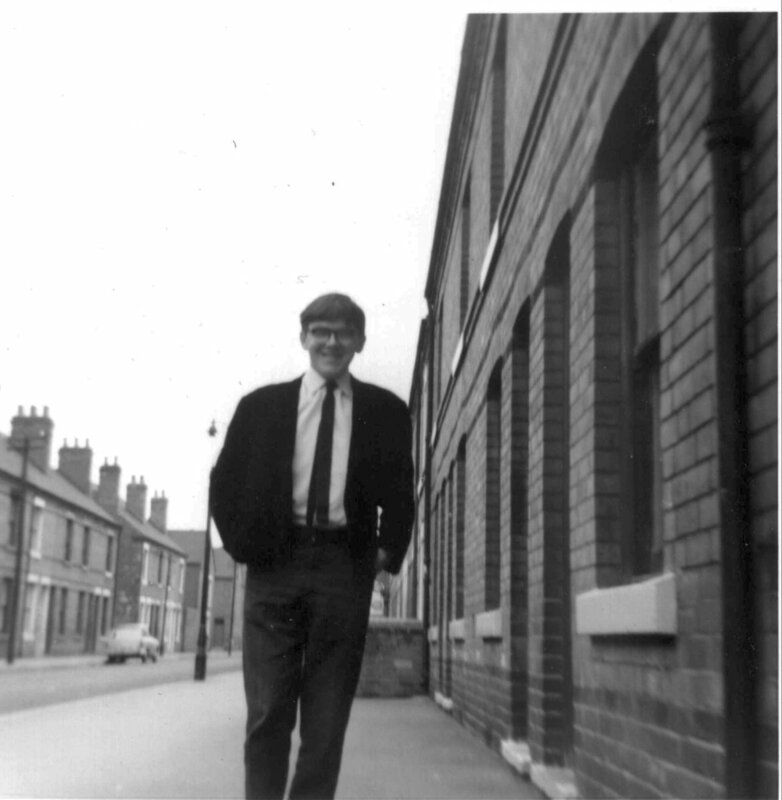 I left Nottingham early February, 1971 for 'the Smoke' after working in the classified ads at the Nottingham Post before chief exec Christopher Pole-Carew brought about a strike that crippled the paper and got him sacked! Then he came down to London and advised Rupert Murdoch on how to get shot of his workforce... Strange things. You are about spot on with your discretions. But I don't think I was Meadows area I was Mafeking street area the same as medows area. Two up Two down outside toilet and we where next to an alley way. Then the council moved us to Clifton Estate. This was soooo different. We had a full house and a garden. Played as a kid on the new building sites. Went to a new school Brooksby ( which was burned down) So sad. Your picture of the coal range is exactly like the one we had in our house. Ah...those were the good old days. I am very much willing to go back there. Thanks for the information provided. My grandparents are going to love it. Thank you so much for your comment Deonne, I get such a great deal of pleasure when someone enjoys reading one of my Hubs, especially when it is one of my working class hubs. I am happy that I found your hub pages. I love history and nostalgia. Love your photos. You do a great job of depicting life in various decades in your native England. I enjoyed the read very much and plan to come back and read more of your work. Thanks for sharing. 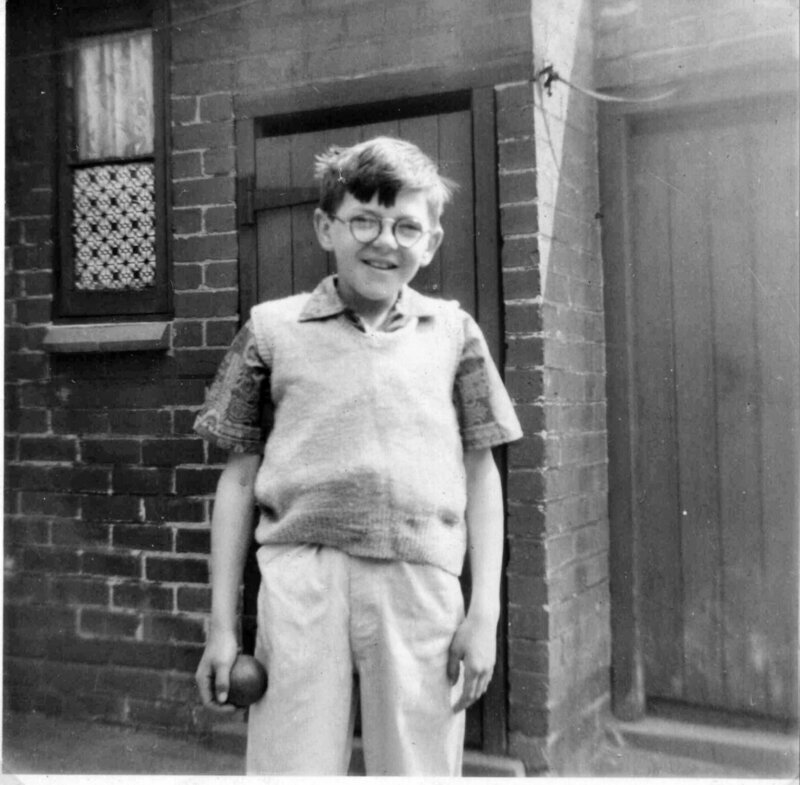 Hi Val, what a wonderful comment as kids we would often range as far as Radford on our rambling around with friends especially when we were old enough to venture a little further from home. My husband lived in the St Anns area of Nottingham and he had a communal back yard with a cold water shared standpipe and shared toilet down the yard. Like you though they had a cold water tap in their back scullery too. Your comments transfixed me and took me right back and for a moment I was not at my computer in Spain but back with you watching those women swilling down the yards with the hot soapy water emptied from their wash tubs. Hi! I stumbled onto your great hub when researching the church where my parents got married in 1930's Grant Street, Radford, for a story I am writing. Not surprisingly, as I was raised in the late 1940s /1950s very working class Radford, my memories tally so much with yours. You are so right when you say that we lived in another world....so very different to that of today.I remember tho, playng with a friend who lived on another street in Radford where they still had only a communal stand-pipe for water in the middle of the back yard and it would freeze over in winter. I felt so lucky that we had a cold water tap in our scullery all to ourselves...even tho we shared our outside, down the yard toilet with another family! We didn't have a back yard to ourselves tho; it was a two streets back-to-back communal yard with an entry at both ends. The yard was swilled down every Monday by all the women with the hot soapy water emptied from their washtubs; then they stowed the big rollered mangles under the back-kitchen windows next to the tin bath on the wall...(but that's another story!!) The washing lines were strewn across the yard and sheets and clothes galore sailed to the wind! Like you I have fond memories also of Home and Colonial Stores (on Denman Street Radford)....my mam didn't work there but they would sell you a bag of broken biscuits from the bottoms of the tins...and if you were very lucky there would be a few whole chocolate digestives in there too! Thanks for sharing these memories. It really brought me back. Hi Sid,I can identify with what your dad said about the few who did own cars back then. It was like our parents had been brought up with very strong and rigid ideas about what was normal for working class people to be,to do and to own and anyone that differed from the norm was certainly looked upon with suspicion. It is funny my dad never showed any interest in owning any sort of motorised transport. He had a push bike when I was young but later on even the bike went. Like most working class families back then our work and leisure was normally within walking distance of our homes or or if not it was accessible by fairly cheap and plentiful local transport. As a teenager in the late 1950s i remember my dad saying how he wanted a car, in our road there were just 4 cars in the whole street of about 80 houses, my dad use to say those car owners were on the fiddle and wondered why they were living in rented houses yet could afford a car. My dad eventually bought a car after learning to drive in 1961 and was very proud of it, by then about a 3rd of the working class owned cars. This is interesting information and it helped me with my homework, thanks. Hi Mark, you are right there has been a change in the working class standard of living since the forties and fifties. Many of the things that even the poorest homes have now and take for granted were not even available back then even to the well off. In my street when I was young only one of our neighbours had a car. My house number was 141 and it was just over half way in the street so in the late forties early fifties only my friends dad owned a car. I think that was only because he worked as a lorry driver though things began to change in the mid fifties. One of my uncles had a motorbike and side car back in the early fifties and this was the mode of transport for his family of four. My other uncle had a Lambretta Scooter which he and my aunt would travel all over on. By the sixties both of my uncles had cars, but my dad never owned a motor vehicle of any kind right up until he died in the nineties he and my mum relied on public transport to get around . My parents never owned their own home and they really never had any desire to do so. They thought that a mortgage was a huge stone around your neck and they made it quite plain when my husband and I bought our first home that they thought we were mad to saddle ourselves with such a huge debt. By the way that debt was £2450 and the mortgage payment was £44 month. You are right about education not opening the doors it use to my husband at one point worked in Organisation and Methods or Work Study and he watched as graduates came into his department which he would train and before long the original staff who had worked there for years would not have been eligible to apply for the posts they held because the entry levels into that office had over time become at graduate level only. You would think that this would have increased the efficiency of this department but you would be wrong. You are so right it is sad that bits of paper have become more important a criteria than ability to do the job. Thank you so much for taking the time to leave a comment and for sharing a little of your own family’s history I really appreciate you doing both. What ticks me off about 2011 is the change in the working class standard of living. Back in the 50's, my grandfather worked in retail. He was able to afford a home (now valued at 250k), 3 children, a car, gas, groceries, vacations, and retirement savings. All of this was accomplished on one income, mind you. Show me a retail employee in 2011 who can afford a 250k home and 3 children? The working class used to have a decent life. Today, everyone is going to college because being in the working class doesn't pay off. Heck, these days, even college doesn't always pay off. How sad. Hi Rose, What a lovely comment and it is so nice of you to share some of your own recollections with me. They certainly were much simpler times and I am sure that many folk felt more content with their lives and their possessions. Really nice hub maggs :)Brings back memories of my times, though I wouldn't remember half as much as you though! We didn't have a dishwasher, we did have a washing machine and that was one of the few luxuries we had. Counting from that, we had a white bath with a sink (it was small but it still a bath! ), no tumbledryer so we hung out our clothes to dry, a small fridge, no frozen goods, only chilled or fresh in those days, vaccum cleaners were carpet cleaners. We had no central heating but how did we survive? We had fire of course! And those who were lucky enough to have an aga in their house had double the amount of heat. We didn't but my friend did and we used to thaw ourselves when we came back from snowball fights. It did get cold at times, but we always wrapped up warm and at night time we would wear our dressing gowns to bed and put extra covers on our duvet. When you look at it from back then the memories just come flooding back and you realise how times were much simpler. Reason is is because we had much less fancy technology (no computers, cellphones, HD TV, high-tech cars) we didn't have a lot to pay for, like gas bills, electricity bills. Children these days would think that our world must have been insane to not live without those things but you would feel more laid-back with less on your plate and that's what it felt like! If you were one of the few people that didn't have a car, you could always get round by public transport like train, bus, or cycle. And also we did have the many things that are still entertaining today like tv (black and white) record gramopone players, books and board games and using our imagination was the key thing of our generation.It's sad how imaginations drift away and being replaced with endless graphics mind-controlling you instead of you making things for yourself. I hope you continue to write more! Hi samsons1, I am glad that you enjoyed your little trip down my memory lane, I certainly enjoyed mine down yours on your hub about your first experience of television. I shall be reading more of your hubs in the near future. Thanks for your kind comments and for the blessing both are gratefully received. 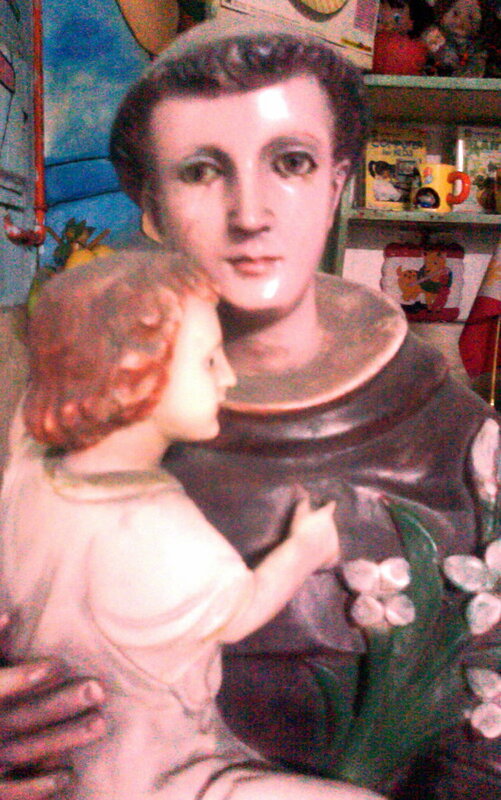 @ Phil,Thanks for the info on how you found this hub it is interesting to me to know how people find my hubs. The slum clearances of the 1970’s did more than destroy housing stock it destroyed communities. Often working class people only moved a couple of streets away from where they were brought up and it was not unusual for two or three generations of the same family to be living on the same street. This brought with it very many benefits such as the extended family provided an excellent support system. There were ready made baby sitters that you didn’t have to pay a fortune for, if you didn’t know how to do something one of your aunts or uncles would know how but if not they would know of someone who did. Often the neighbours that you had were the ones you grew up with or related to someone you grew up with. If you ran out of money before payday you could often borrow off one of your neighbours, if you were ill they would keep an eye on you and help you out until you got better. Many of these things were never to be found again in the new housing that people were relocated to. Yes the housing itself was of a higher standard and you had inside toilets and a bathroom and the problems with damp were gone but many people wished that the Council had spent the money on bringing the old houses up to date and kept the neighbourhoods intact. Thanks for the links, Maggie. I was corresponding with an American university prof in the 1990s on the subject of animals on coins. He told me he'd found a desert tortoise in the street and was keeping it in his backyard. How cruel, I thought! I had in my mind our first backyard in Newcastle, walled and tiny, and with a concrete floor. Apparently, the Americans mean something entirely different by backyard, as it is generally very spacious (being America) and includes a large lawn or garden. Once I realised that, I was much happier about the idea of a desert tortoise living in a "backyard". Incidentally, I first reached your site by surfing for images of a typical old-fashioned British backyard. Hi Phil, my daughter lived in Newcastle for a while after finishing university up there, her first house was one that she originally lived in as a student this was an old terraced property with a back yard. Many working Class people back in the thirties and forties were use to living in much poorer and smaller housing than today's working class. 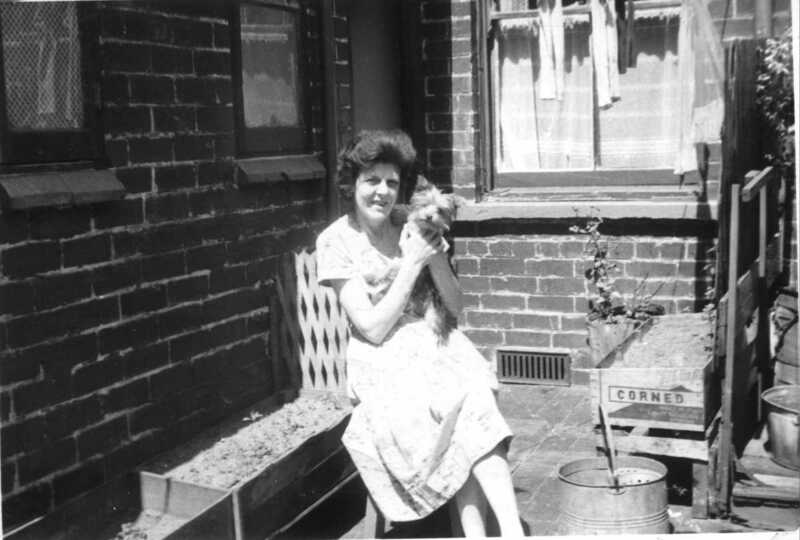 My grandmother (my mum's mum) had ten children and lived in a two up two down terraced house. My mum was the oldest of the ten children. The girls had one bedroom and the boys the other. My grandparents had a settee that transformed into a bed in the front room downstairs. Back then most working class people lived in rented accommodation and it was not unusual for people with large families like my grandparents to occupy just a couple of rooms in a large house. For a little more insight you might find my hubs https://toughnickel.com/frugal-living/Working-Clas... and https://letterpile.com/memoirs/A-Woman-of-Substanc interesting. Thanks for leaving a comment I really appreciate you taking the time and trouble to do that. Excellent page, Maggs. 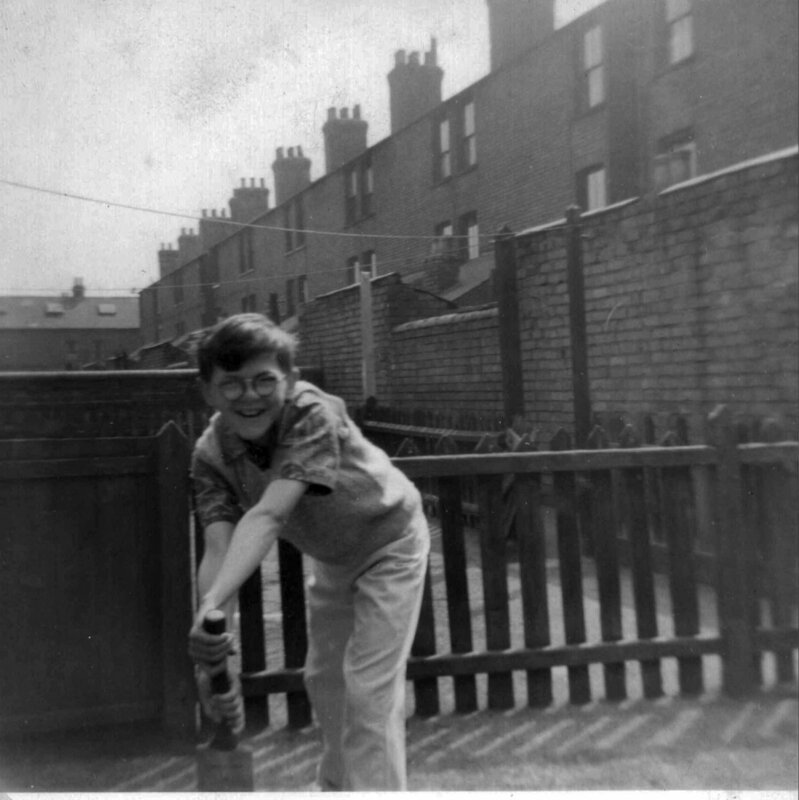 One of my earliest memories is of our backyard in 1960 (in Newcastle). I must have been about two and a half years old. Then the slum clearances started, so we had to move. This was a hangover from World War 2, I think, when a lot of housing stock was either destroyed (by bombing) or not kept up to date. I have read that it was official policy not to build any new houses during the war. When I look at the old pictures and see how many were destroyed, I think, how can this be possible? How on Earth did people cope? What did they do? I'm not suggesting you're old enough to know anything about this directly(! ), but is it something you have ever heard about second-hand? Wow, I just love all the history here. I'll have to come back another time with a big cup of tea and read for a while. This is an interesting and enlightening look at that time period in the UK. It was something I've never realized (having grown up in 50's/60's working-class US); and I think such a real-life portrayal of life back then will be informative to a lot of people (especially younger ones). :) I loved the photos. I very much enjoyed this peek into the past. You really did a fine job of writing this in a way that transports the reader back along with you. I look forward to reading more. I also was very impressed with the picture of your street swept so clean. It highlights some of the differences with attitudes and work ethics today as opposed to the past. I love this article! I felt transported to that time and place. Thank you. You are a fine writer. This was so interesting to read! The pictures helped to see it so well! Candie and Tamcor are right on it Maggs!! Love to read your writing!!! Looking forward to part 2! 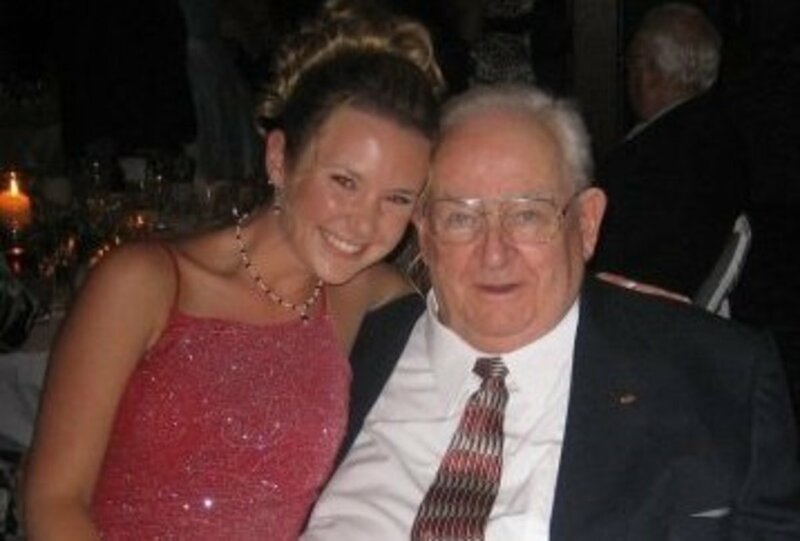 I love reading about your life back then, and can't wait to read part two!